One-Day Machinery Consignment Auction ! The Auction method is a Competitive, Quick & Efficient way to sell your items! No left overs & cleanup for you to manage! No strangers parking in Your yard! WE Bring the Crowds! WE Produce Results! 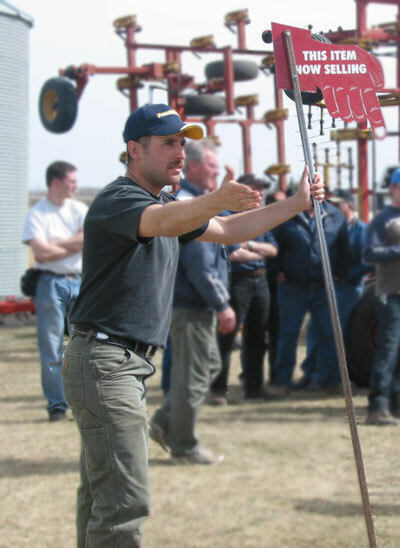 Excitement is high - selling 3 rings simultaneously attracting bidders from all across North America, to one of our 4 annual machinery consignment auctions. We have a fully modern 15000 square foot Auction Pavilion, 24hr On- Site Security, fully fenced, graveled lanes & ample parking. Caterers are on site for your convenience. When we schedule four Machinery Consignment Auctions thru the year, you have the opportunity to balance your time with our scheduled auctions. On offer are: Farm Machinery, Cars, Trucks, Lawn & Garden, RV/Recreational, Heavy Equipment, and Miscellaneous Tools & Accessories. We are committed to bringing you top dollar for your consignments! This auction is an excellent opportunity to market your equipment to the thousands of bidders from across Western Canada & the Northern USA. Many of our auctions offer Online Bidding! Call us today to discuss your selling options!